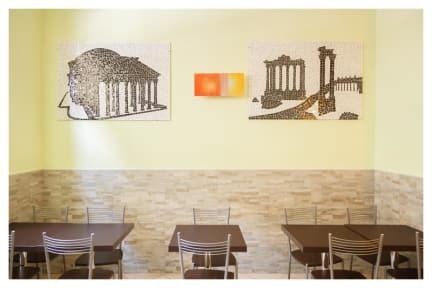 Mosaic Hostel is located near Piazza della Repubblica, Villa Borghese and the buses and trains of Termini station. 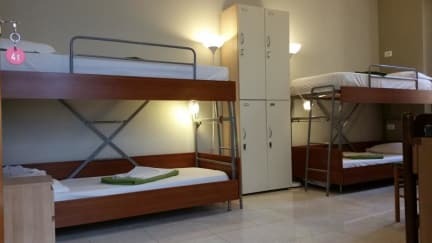 Our guests say this hostel is within walking distance to 'everything in Rome', with 'incredibly clean', spacious rooms in a quiet neighbourhood. The 'lovely and knowledgeable', 'super helpful' staff frequently receive high praise for knowing 'the best places to visit, [with] great recommendations on where to eat'. We like that they provide toiletries to guests. Amazing hostel in a great location. About 10 minutes from the main train station and pretty much everything is within an hours walk. Staff were very helpful and friendly. Rooms were a good size and the bathrooms were always very clean. Would definitely recommend. Nice and friendly. Sure will be back. it was amazing! the staff was super nice and very good location! Very well located, good staff and clean. Nothing fancy, gave us an affordable place to sleep. The lady who runs the breakfast is not very polite, even hostile. A nice Hostel with lovely staff, It was a little hard to start a social atmosphere, and there wasn't a readily available kitchen, but there was a breakfast every morning included in the cheap price. The bathrooms were great as were the showers and the rooms were nice too. It's within walking distance of the historical centre, and very conveniently located near the Termini station. I would definately stay here again! The hostel was fine but they hide extra fees and they only take cash. Not a place for young travellers. There were couples in the 50s/60s checking in and half of the people were around 40 years old. One morning I went to shower and the floor was sticky and there were toe nail clippings in the sink. Maybe we just got unlucky with who we were sharing the bathroom with, but it was disgusting. Not much of a hangout area there other than the breakfast area. WiFi was awful- next door wine bar had better WiFi on ground floor.